Karen Spruell brings over 40years of real estate experience and over $60 million of career sales to The Lake Norman Homes Team. Karen was formerly Owner/Broker of Island Realty, in Grosse Ile, Michigan. She has also earned the additional designation of ABR (Accredited Buyer Representative). She has called the Lake Norman area her home since 1999. 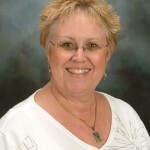 Karen chose to join Southern Homes of The Carolinas because of the “water community connection” to Grosse Ile and the casual, friendly, “hometown” atmosphere of the local residents and their associates at Southern Homes of the Carolinas. Karen’s pledge is to help other families “find their way home” and her past clients will tell you “…great person to work with. She looked out for our interests!”. Mike has been exposed to the Real Estate industry for over 40 years and has joined his Mother, Karen Spruell at The Lake Norman Homes Team. Mike also chose Southern Homes of The Carolinas because it has the same commitment to outstanding customer service. Mike earned a double degree in Business Management and Marketing from Northwood University in Midland Michigan. Mike brings a diversified background of business start-ups, management and retail experience to the Southern Homes Elite team. The former ARCA Street Stock “Rookie of the Year” is also a skilled website designer and internet marketing specialist. 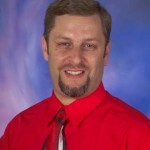 Mike has managed LakeNormanHomes.com for 15 years and has numerous websites that are ranked on the first page of Google, AOL, Bing & Yahoo for Lake Norman Real Estate keywords. The 15 year Lake Norman area resident is eager to partner with you in all your Real Estate activities. Originally from Exeter, Rhode Island, Janet lived in Pennsylvania for 22 years before relocating to the Lake Norman area to be closer to her family. Janet has gained a vast amount of knowledge and experience in the industry working as an assistant to a local top producer. Janet developed a passion for Real Estate while studying for a business/paralegal degree at Clarion University in Pennsylvania. She recently completed her Broker license at CPCC in Charlotte. Janet chose to affiliate with The Lake Norman Homes Team because of their proven reputation, high ethical business standards and strong presence in the community. Thorough and efficient, Janet is very excited to provide exceptional service to her clients. Gerri-Lynn was raised in a small Indiana town located on the Ohio River. After visiting her sister, The Lake Norman Homes Team member Karen Spruell, she knew she wanted to live on Lake Norman. 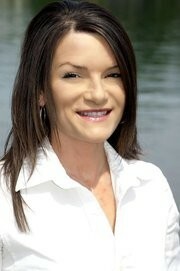 In 2005, she and her husband decided to relocate to the Lake Norman area. Gerri-Lynn also decided to follow the career path of many others in her family. She is the sixth in her family to enter the real estate business, beginning with her father starting in the 1960s. 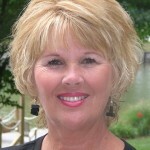 Along with her sister, Karen, and nephew, Michael Spruell, Gerri-Lynn joins Janet Shawgo on the Lake Norman Homes Team. Prior to her real estate career, Gerri-Lynn worked for the US Postal Service out of high school and became the youngest Postmaster at the age of 27. She also assisted her family with their real estate business and retail appliance/furniture store, making her an expert at customer relations. In 2005, she retired from the Postal Service, the same Post Office her grandfather retired from. Outside of the Lake Norman real estate market, Gerri-Lynn and her husband Gary enjoy buying lots, building, and selling log cabins. After going to the mountains for many years and staying in cabins, they decided to make a hobby of designing and building their own.